If you’ve ever found yourself following a SXSBlog build or repair and thinking “I wonder where the best place to get that from is?”… we’ve got your answer. Our quest to always do more has led us to start our own parts store, SXSBlogParts.com where we sell only the parts we run ourselves from the vendors we believe in most. If you find it on SXSBlogParts you know it works because you can watch us test it. Currently we feature products from our partners at Evolution Performance, Simpson Race Products, Razorback Technology, System 3, Dragonfire, & ZRP but we’re constantly working with new products and suppliers, and will continue to add them as we approve them! 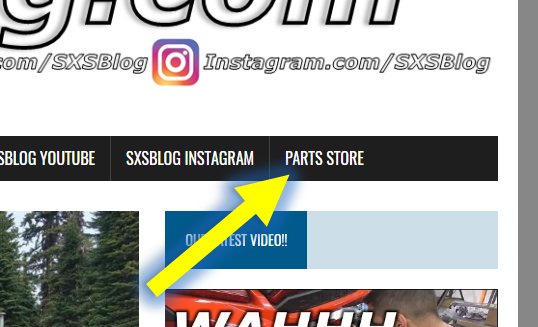 Go to SXSBlogParts.com or follow the link at the top of our home page to get the best deals on the stuff we run, have tested & approved, and shared with you!